Beim rumspielen ist jetzt ein Snippet entstanden, das sich per telnet an der Fritzbox anmeldet und per AT-Befehl kurz eine Nummer anruft. 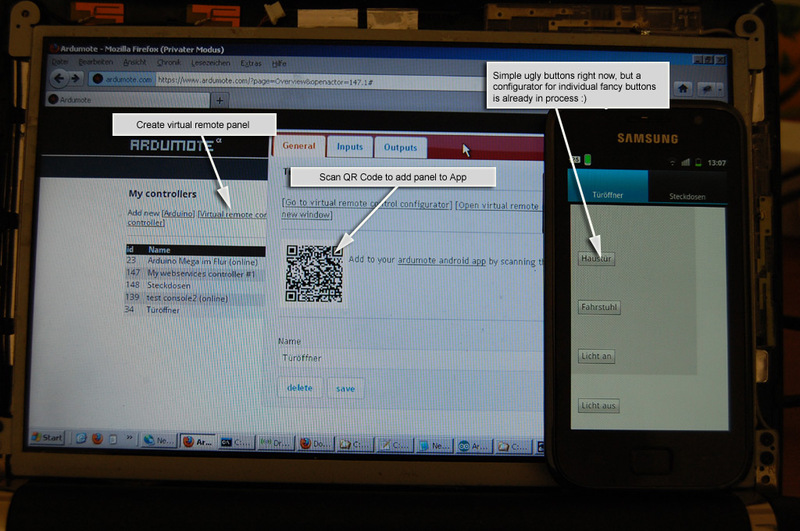 Props to pjnewman who has reverse engineered the Samsung remote control tcp protocol. 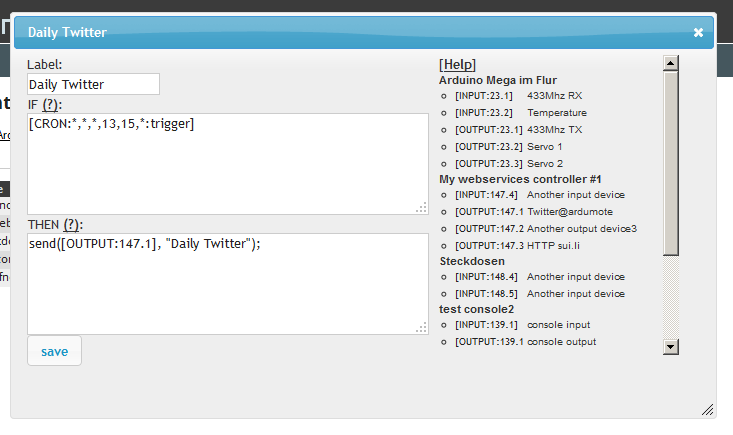 I’ve written a Arduino function based on the perl/php scripts and it works fine with my STB-E7500. Guess it should also work with any other Samsung Smart TV or receiver. This sketch reads a command from serial and sends it to your TV/receiver. You can try KEY_CHUP or KEY_CHDOWN for example, more commands are documented here. A lot of us know this issue. The Atmega328 as used by Arduino Uno has too less SRAM, the Atmega2560 as used by Aruino Mega is not availabe as a DIP package and thus not really handy for do it yourself soldering. This is where the Atmega1284 comes into play. It is available as a DIP-40 package has twice as much RAM as the 2560 and costs only about 7 EUR. 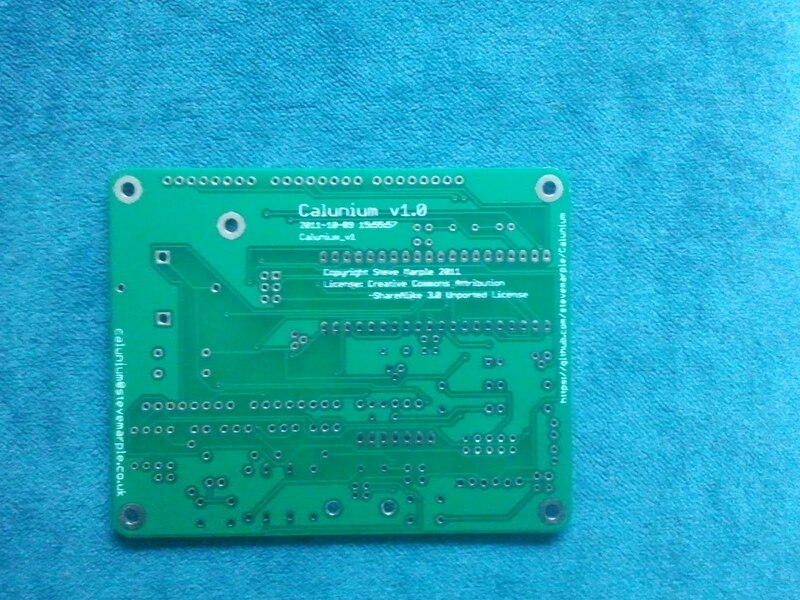 I’ve ordered a couple of these boards manufactured by iteadstudio three weeks ago and they arrived yesterday. As I don’t need all of them you can have one for 5 EUR (including shipping), just drop me a message. [CRON:year,month,day,hour,minute,dayofweek:trigger], you can use an asterisk as wildcard and for example if you want to trigger an event every day at 13:15 you need to write [CRON:*,*,*,13,15,*:trigger] into the IF section of that event. 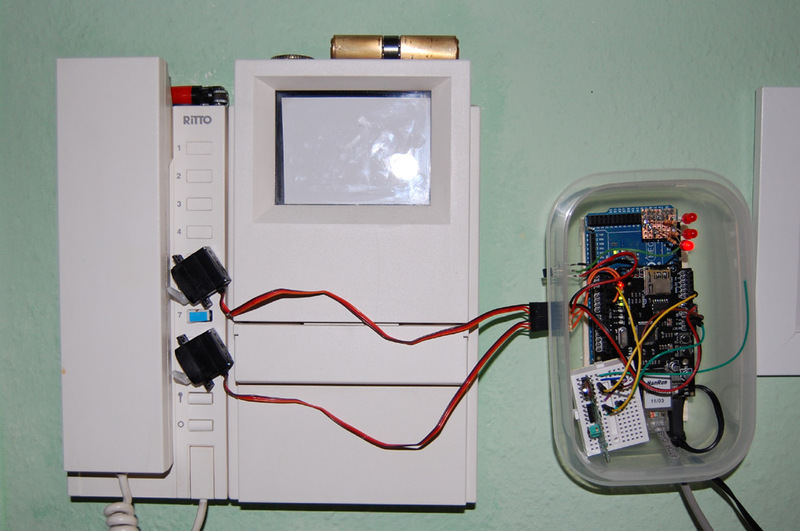 Here you can see my arduino which is mounted to the wall next to the door in the corridor. As you can see there are two servomotors stucked to the door opener with double-faced adhesive tape. They mechanically push the buttons. I know I could have connect them directly with optocouplers but since I live in a rented flat and didn’t want to mess things up this seemed to be the best solution. Now let’s have a look in detail. 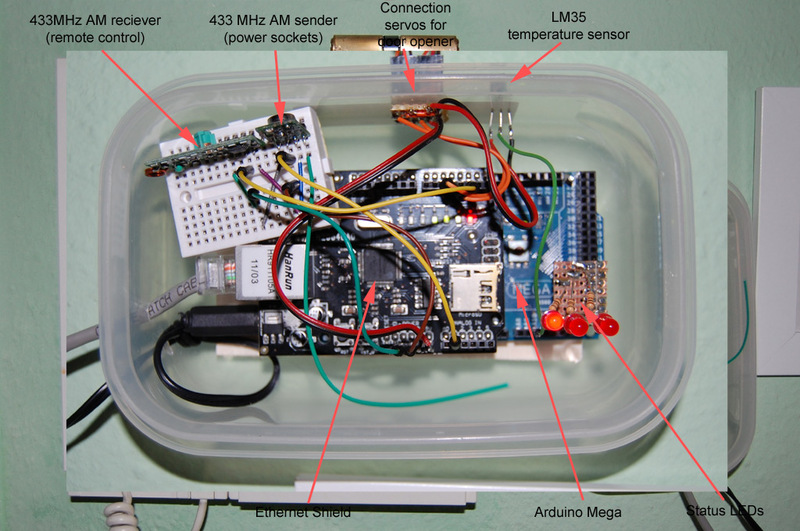 There is also a 433MHz transmitter and receiver connected, which allows me to use a simple remote as input device and operate low cost RC power sockets. I use a arduino mega cause the RCSwitch didn’t run together with the ardumote arduino library due to memory limitations and unfortunately I don’t have much hope by now to get it working on a arduino uno ever. Nevertheless there is a example sketch without RCSwitch for uno/duemilanove provided in the lib. I’ve also connected a LM35 temperature sensor cause I had one to spare. Of course good old HTTP would also be an alternative but as it’s stateless you need to deal with DynDNS and router configuration stuff to allow the webservice to connect back to the arduino. 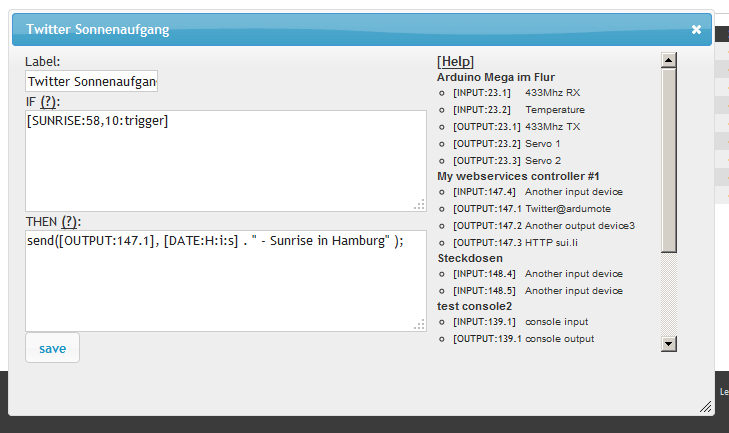 With IRC the arduino connects to the webservice and keeps being connected and beside that in this way the latency is shorter and the data volume without tons of headers is much smaller. 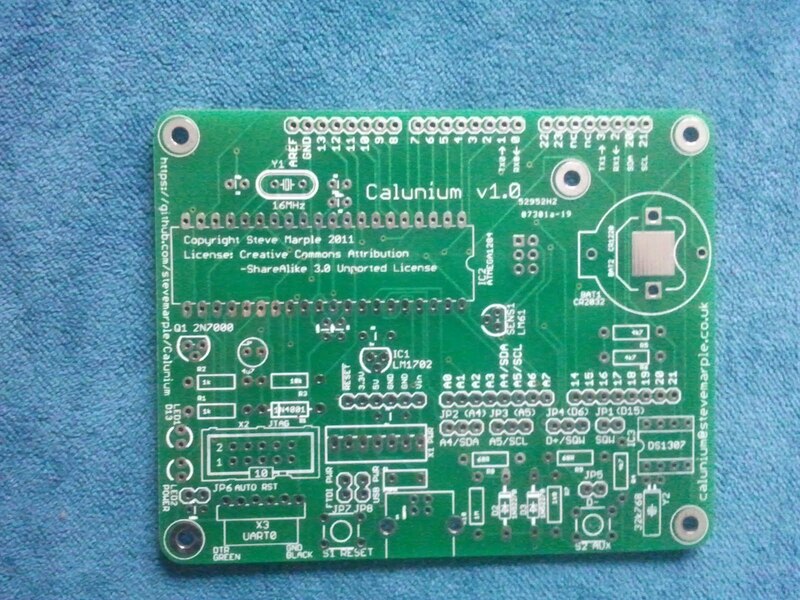 Let’s come to the ardumote webservice. Beside your arduino with all that sensors and actors you can also add other controller types with input and output devices. For now that is a „virtual remote panel“ with „virtual button“ input devices to use as a browser or smartphone interface. There is already a android app to use these virtual remote panels in a convenient way. A „webservices controller“ controls onlineservices like Twitter, E-Mail or else and I’m already planing a android phone type controller so it would be possible to use the smartphone inputs (accelerometer, GPS, compass) and outputs (action bar notification, vibration), too. Ninjablocks might also be interesting in future. Based on your input devices you can define events and actions with your output devices to be executed when the event occurs. 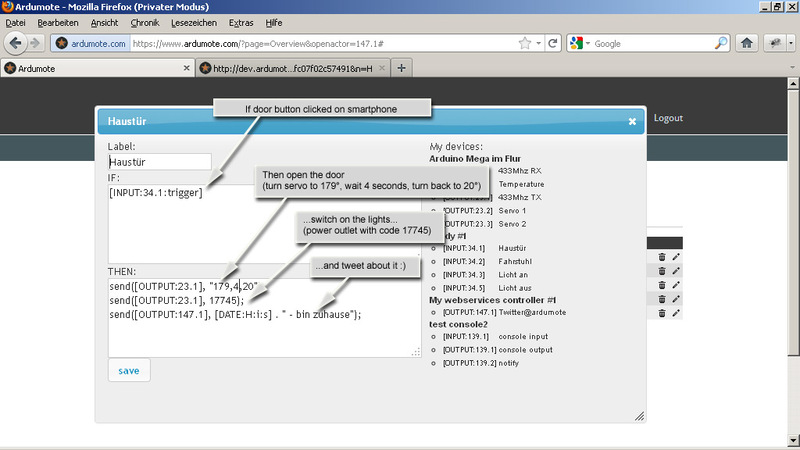 In this example I have my arduino controller in the corridor, a virtual remote panel with a „Haustür“ (thats german for „front door“) button and a webservices controller with my Twitter account linked to it. Whenever I push the button on my phone, the front door opens, the light in the corridor is switched on and a tweet is sent to my Twitter account. That’s all folks… well, for now. 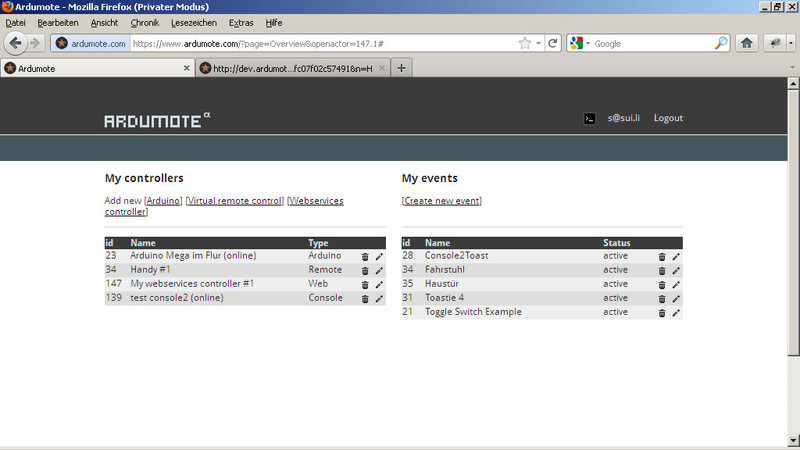 Next steps will be some bugfixing, pimping up the virtual remote panels and enhancing the android app. Feel free to sign up, download and play around with ardumote and share your thoughts in the forum. But keep in mind it’s still alpha and not stable yet.